Nobody likes to have a toothache. But, it seems like from time to time, we all get one. 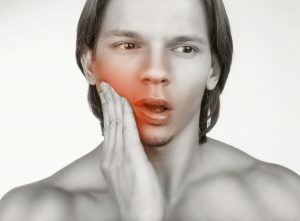 What most Monrovia patients don’t know, is that there can be several causes of tooth pain, which is why it’s important that you visit Monrovia dentist Dr. Q any time you have a toothache so she can diagnose the underlying problem. Read on as Monrovia dentist Dr. Q explains the most common reasons for tooth pain, and how they can be resolved. Untreated tooth decay (or cavities). Temporary sensitivity from dental procedures. As you can see, tooth pain can be caused by something minor, or something more serious. If you are experiencing any tooth pain, it is important that you contact Monrovia dentist Dr. Q for a complete oral examination so she can diagnose the underlying issue causing your tooth pain. Because the causes of tooth pain are so varied, Dr. Q’s treatment for your tooth pain will vary, too. If brushing your teeth too vigorously is causing your tooth pain, your dentist will recommend that you use a soft bristle toothbrush and a soft grip when brushing your teeth. If a cavity, or a worn-out filling, is causing your tooth pain, Dr. Q will fill the cavity or replace the old filling with a new one. If bleeding in the teeth or infection in the root pulp causes your tooth pain, your Monrovia dentist may recommend a root canal to stop the pain. While many people are frightened by root canals, the true cause of the pain is the toothache that precedes the procedure, not the root canal procedure itself. If receding gums are causing your toothache, dentist, Dr. Q may recommend a gum graft to protect your teeth roots. If grinding your teeth at night is causing your tooth pain, your dentist may recommend you go to bed wearing a night guard every night, to prevent tooth damage. If you have dental damage, such as broken or chipped teeth, your dentist may recommend a crown to stop the tooth pain. And if you have signs of oral cancer, Dr. Q will do everything possible to relieve the pain, while also sending you to a qualified oncologist to create a cancer treatment plan for you. I Have Tooth Pain. What Should I Do Next? If you have any degree of tooth pain, you should see Monrovia dentist Dr. Q right away. Contact her to schedule a complete oral examination today by calling (626) 599-9818.